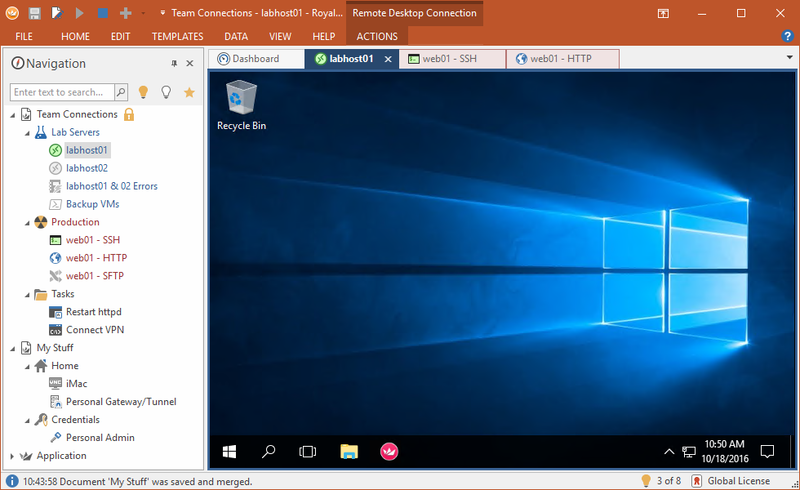 RoyalTS is an ideal tool for system engineers and other IT professionals who need remote access to systems with different protocols. RoyalTS is an ideal tool for system engineers and other IT professionals who need remote access to systems with different protocols. Optimize workflow and increase productivity! Royal TS Makes it possible with our flexible user interface and outstanding team collaboration features. Not only easy to use, it enables secure mutli-user document sharing.